November 26, 2011 ~ Entrepreneur Jeno Paulucci, who helped co-found and for many years lead the National Italian American Foundation in 1975, passed away on Thanksgiving Day. He was 93. Paulucci was born in Aurora, Minnesota, to Michelina and Ettore Paulucci, immigrants from Bellisio Solfara, a small town in the Marche Region of Italy. 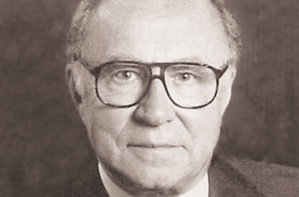 Paulucci started over seventy companies during his long career. His most well-known ventures included his frozen food company, Michelina's Inc., named after his mother, and food products such as Jeno's Pizza Rolls and the Chun King line of Chinese food.